Older, rotary-style phones use a series of electrical "clicks" for each number on the phone. For example, if you dial 3, the phone will emit three electrical clicks. Contemporary phone systems use a tone or sound that is distinct for each number on the phone. Therefore, if you have an older, rotary phone, you will need to convert the signal in order for it to place a call. Unplug your current phone from the wall jack in your home or business. Plug the small cord that comes with the pulse-to-tone converter into the wall jack. Plug the other end into the "sending" side of the converter. Plug the rotary phone into the "receiving" side of the pulse-to-tone converter. 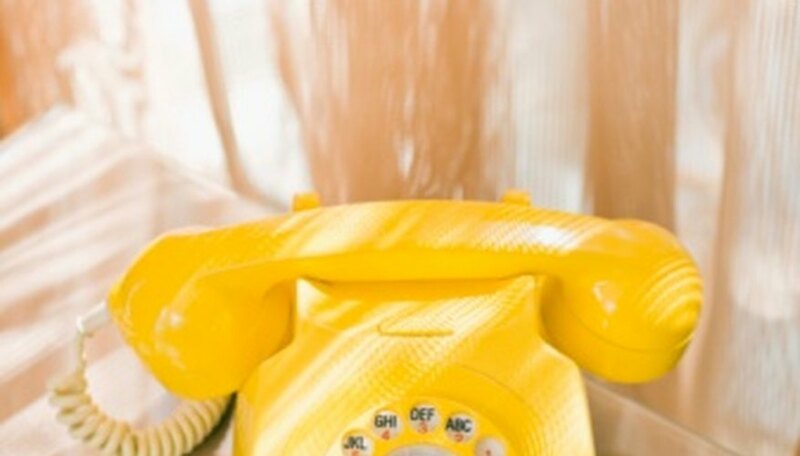 Test the phone by placing a call as you normally would with a rotary phone. Dial each number carefully and allow the dial to circle all the way back to the original position before dialing the next digit. These converters will allow you to dial "*" and "#" as well as all the numbers. Have your phone calibrated by a professional if the numbers are not accurately dialed by the converter. Occasionally rotary phones skip "clicks" and will not send the correct signal for certain numbers. This is not a calibration that you can fix at home.